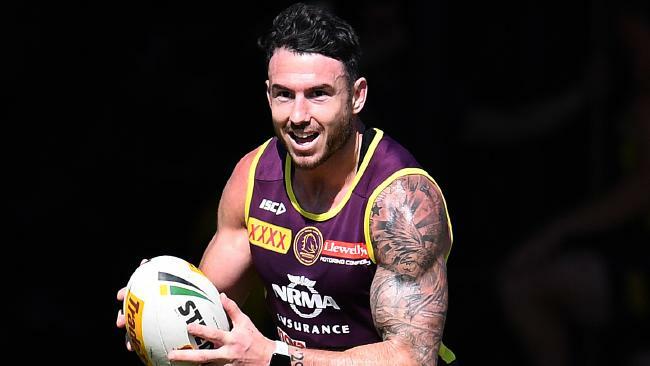 BRONCOS skipper Darius Boyd has hit out at Anthony Milford's critics as the Broncos five-eighth prepares to clash with Ben Hunt in a $2 million Suncorp Stadium showdown. Milford and Dragons halfback Hunt will go toe-to-toe in a battle of the $1 million-a-season playmakers in Sunday's elimination final. Hunt, 28, played 187 NRL games for the Broncos before heading to St George Illawarra this season after Brisbane prioritised the re-signing of Milford to the richest deal in the club's 30-year history. The Broncos simply couldn't afford to retain Milford and Hunt and opted to keep the Samoan international they snared from Canberra in 2015. 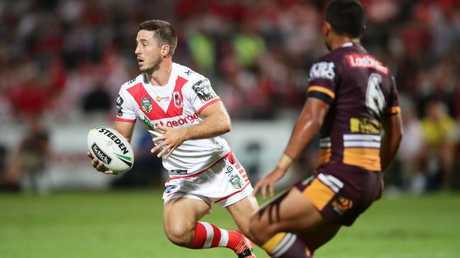 Hunt can strike the ultimate revenge by knocking the Broncos out of the NRL premiership race when he returns to Brisbane for the first time in Dragons colours. But to do that he must outpoint Milford, whose form has been exceptional in Brisbane's three-game winning streak heading into the finals. Milford and halfback Kodi Nikorima's combination is firing at the business end of the season and Boyd said he wouldn't swap them for anyone. "Definitely not, no way, I wouldn't have changed them at the start of the year either," he said. "I have played with them for a long time now and if we do our jobs, they will be our best players this Sunday. "Our six and seven are freak athletes. When our team and our back five are returning kicks, our halves can do their job. "We have seen that the last three weeks …(against Manly) in particular they were real quality and those guys can lead us to victory again." Statistically wise, Milford and Hunt have had eerily similar seasons. They have both scored six tries, Hunt leads try-assists 17-16, Milford is up in line breaks 13-9 while line break assists are even at 13-all. Milford's kicking has improved dramatically this season and he is averaging 353m-a-game compared to Hunt's 324m. But what could be the telling factor is recent form. While Milford and the Broncos have hit a purple patch, Hunt and the Dragons have been on a slippery slope heading into the play-offs with four losses in their past six games. 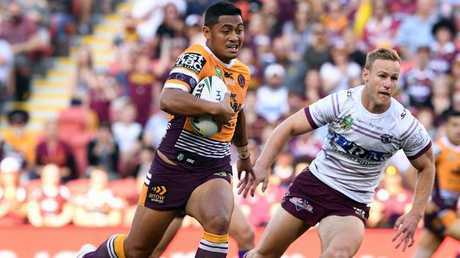 Milford, 24, undoubtedly failed to deliver on his price-tag in the early parts of the season, however his performance in last Sunday's 48-16 demolition of Manly was every bit of a $1 million-a-season player. Boyd defended Milford's salary can said he should not be compared with four-time Dally M Medal champion Johnathan Thurston. "Anthony is 24 and earning a good pay packet, so people say he has to play like JT," Boyd said. "If he's getting paid the same, he should be like JT? He's not JT at the moment, he might be in the future. "There's a lot of halves getting a lot of money, which they rightly should because they make the most impact on the game. "But if Anthony isn't performing to standards he gets attacked in a negative way. No one goes out to fail and let people down. We all go through bad patches. 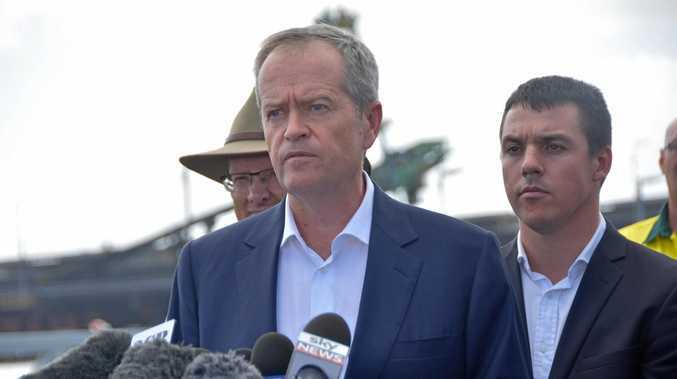 "Anthony has taken on a lot of leadership this year. Ben Hunt left and he was our main kicker so Anthony had to step up in that regard. "Some of his kicking performances have been quite outstanding and the boys have jumped on the back of that."